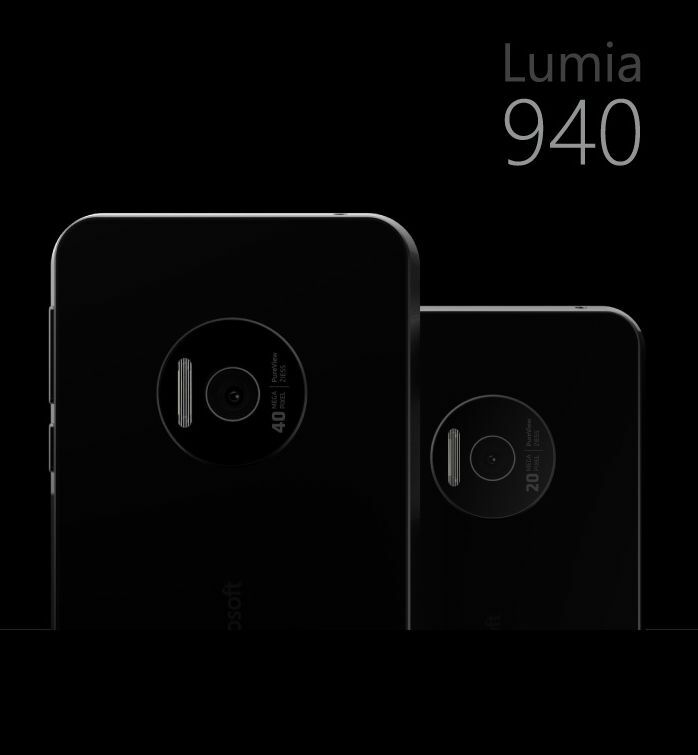 Designer Ryan Smalley from USA has previously rendered a great Lumia 935 concept and now he’s back with new designs, the Microsoft Lumia 940 and Lumia 940 XL models. 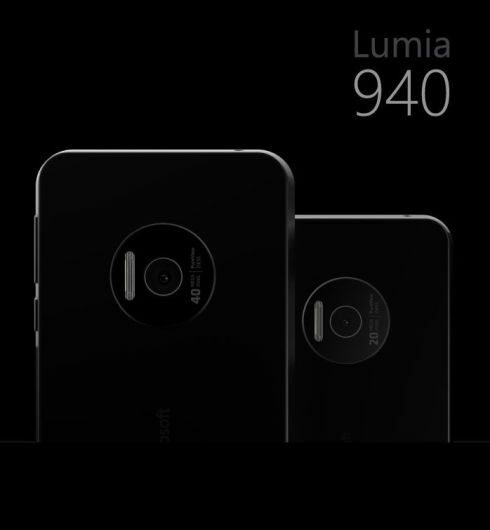 These are flagships with Windows 10 on board and great cameras. 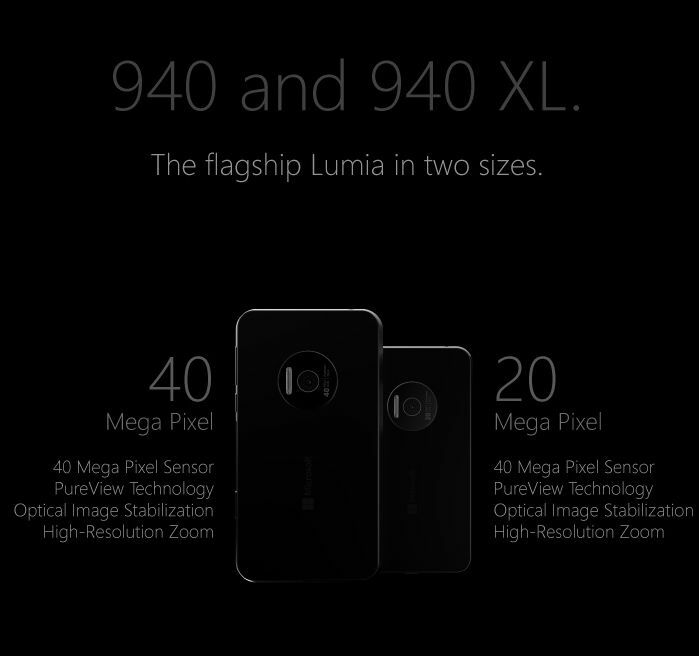 There’s a 40 megapixel Pureview camera on board, with optical image stabilization and high resolution zoom. Both models come with a fresh design, that involves a bezel-free display, aluminum chassis and polycarbonate enclosure, as well as a pronounced rear camera, that’s wrapped within a polished aluminum ring. 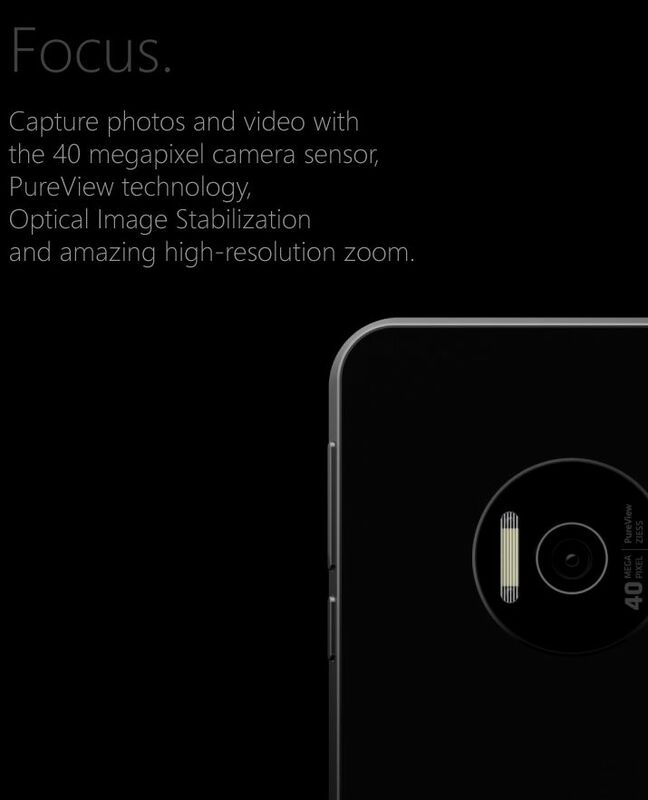 This time the camera isn’t bulky and it’s quite discrete at the back of the handsets. These models have a profile that reminds me of the Surface tablet and they come with thin chassis made of metal, from what I can see. 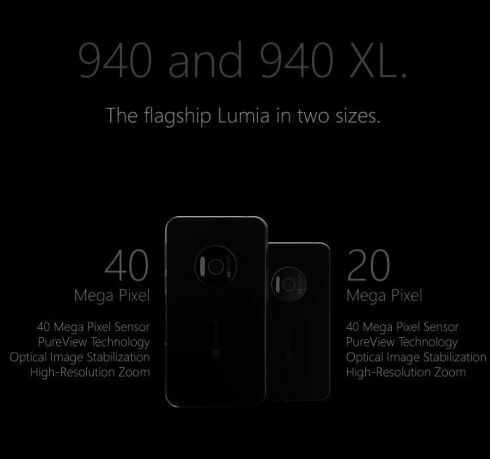 Microsoft Lumia 940 XL adopts a 40 megapixel camera with Pureview technology, OIS and high res zoom, while the Lumia 940 gets a 20 MP shooter, with the same features. 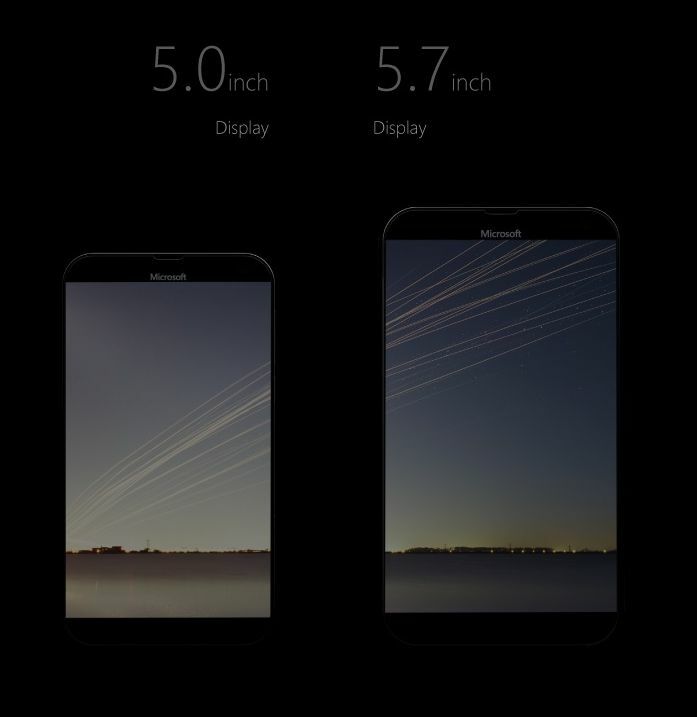 The bigger unit has a Quad HD 5.7 inch screen and the smaller one gets a 5 incher. 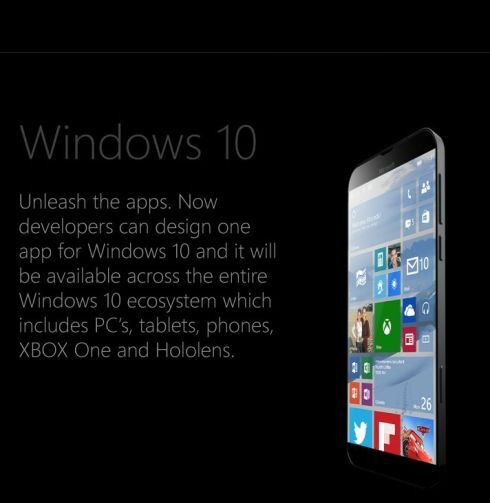 There’s a big Xenon flash at the back and the OS here is Windows 10 for phones, with transparent UI, revamped settings area, new web browser and all the goodies.